A lot of people feel confused when choosing a top cancer center in the world due to a wide range of medical facilities worldwide. When a patient faces a diagnosis, it is important to get a grip on situation and start looking for the best cancer center. At first sight, it may seem difficult, because a patient does not know what to pay attention to at first. The famous name of the cancer center or high prices do not always mean the most effective treatment and care. Moreover, some top oncology hospitals answer for patients requests too long, and a valuable time is running out. Bookimed International Patients Support center has ranked Top 10 best cancer hospitals in the world chosen among 155 oncology treatment centers we cooperate with that are ready to accept a patient fast, comply to international treatment standards, are equipped with the latest technologies, apply the most effective therapies. Submit a request to get a cost estimate of cancer treatment in any country or hospital you are interested in. This option is FREE. Which cancer hospitals do international patients choose? those who have limited financial ability and want to undergo treatment cheaper without quality loss. Bookimed's ranking of best hospitals in the world was composed in order to satisfy patients' needs from both groups. 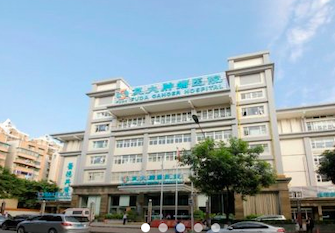 Bumrungrad is the best cancer hospital in Asia according to Patients Beyond Borders. The facility is the 1st in this region to receive JCI (Joint Commission International) accreditation. Bumrungrad is also the 1st hospital outside the USA accredited by GHA (Global Healthcare Accreditation). Only the best hospitals for international patients treatment receive it. The cancer treatment is performed at the Horizon Cancer Center on Bumrungrad premises. This top hospital for oncology serves about 30,000 cancer patients annually. Bumrungrad oncologists apply IBM Watson artificial intelligence to compose the most effective treatment plan of cancer. Only best cancer hospitals in the world use this technology to exclude the medical error. IBM Watson is an innovative supercomputer that analyses the medical history of a patient, compare it with the latest medical research data. A patient receives the best treatment with 96% of accuracy. In most of the cases, patients choose Bumrungrad for treatment of any cancer type. Bumrungrad doctors provide a patient with a detailed treatment plan. Anadolu Medical Center is No. 1 for cancer treatment in Turkey and among best hospital in Asia. This hospital is the most frequently chosen for cancer treatment among Bookimed patients. The medical center is an official partner of Johns Hopkins Hospital, a top one in the USA according to U.S News & World Report magazine. This means that Anadolu doctors interchange the experience with American colleagues to improve cancer treatment methods and service. Anadolu was ranked among Top 10 hospitals in 2018 for international patients treatment by Medical Travel Quality Alliance (MTQUA), an independent global organization. OECI accreditation is one more proof, that Anadolu provides one of best cancer treatments in the world. The Organization of European Cancer Institutes accredited Anadolu for innovative and effective treatment options. Only 31 hospitals in the world have this accreditation. Anadolu is one of the best cancer centers due to its advanced equipment which is annually renovated. Among the latest technologies is CyberKnife M6 for stereotactic surgery. This is the latest CyberKnife modification that destroys cancerous cells accurately, without damaging healthy tissues. Patients consider Anadolu as one among Top 10 cancer centers in the world to treat leukemia, lymphoma, cervical and ovarian cancer, liver cancer, breast cancer, intestinal cancer, etc. 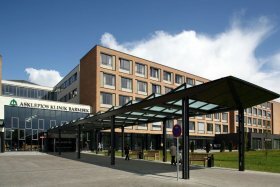 Helios Hospital Berlin-Buch is one of the largest medical institutions in Germany with a 100-year history. It is among top cancer centers in Europe and the world. In 2018, Helios Berlin-Buch was listed in the best German hospitals ranking composed by the Focus magazine, an authoritative healthcare edition. Helios Berlin-Buch Cancer Centers are certified by the German Cancer Society and accredited by ESMO (European Cancer for Medical Oncology). These confirm the high quality of medical services provided in the hospital. IOERT (intraoperative electron radiation therapy) for targeted irradiation of a tumor during surgery. High radiation dosage effects and destroys cancer cells exceptionally. HIPAC (hyperthermic chemo) and PIPAC (aerosol chemo) are treatment options of tumors in the abdominal cavity. The procedures are performed to treat stomach cancer, colon cancer, bladder cancer at stages 3-4. RFA (radiofrequency ablation) is a non-surgical destruction of a tumor with high temperatures. The therapy is effective at the early stages of liver and pancreas cancers. Helios Berlin-Buch also includes a specialized Sarcoma Center. Top oncologists Dr. Peter Reichardt and Dr. Ulrich Bitz work here. Asklepios is also ranked among Top 10 cancer centers in the world. It is among the largest specialized top cancer centers in Europe. 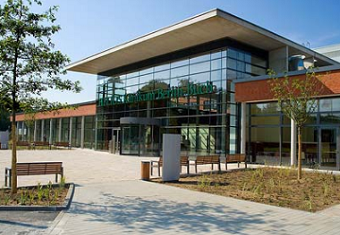 The hospital is accredited by the German Cancer Society that proves the high standards of treatment and medical care. Such world-renown doctors of oncology: as Prof. Karl J. Oldhafer, Dr. Axel Stang, Prof. Andreas Gross work at Asklepios. Except the medical practice in the hospital, they conduct numerous clinical trials to develop new cancer treatments. The success rate for cancer treatment at early stages is up to 95%. 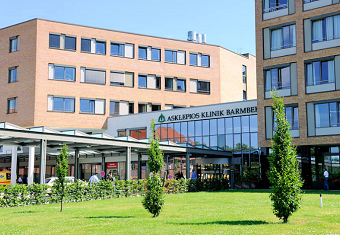 Asklepios Hospital Barmbek is considered No. 1 hospital in the world for international treatment by the Medical Travel Quality Alliance (MTQUA). This means that each medical tourist will feel comfortable in the hospital and receive the best cancer treatment. Patients consider Asklepios as the best cancer center to undergo oncological checkup, to treat prostate cancer, bladder cancer, breast cancer, thyroid cancer, lymphoma. 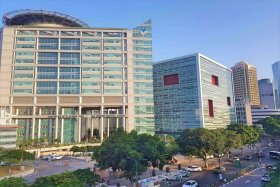 Sourasky is one of the best cancer hospitals in the Middle East. The average success rate of cancer treatment at Sourasky is 90%, among the highest in the world. The Newsweek magazine ranked Sourasky among Top 10 centers for medical tourism in the world. 400,000 international patients receive treatment here annually. 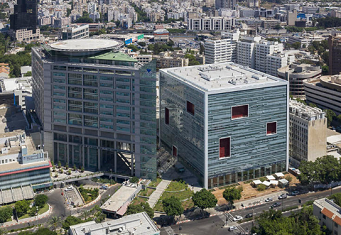 Sourasky Cancer Center is a leader in oncology treatment in Israel. Sourasky specialists have developed the 1st non-surgical skin therapy in the world. 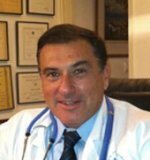 Every year Sourasky doctors make hundreds of unique and comprehensive operations for removal of malignant tumors. Sourasky doctors together with the US and European specialists conduct clinical trials to develop new treatments for cancer. The therapies are carefully checked by the Israeli Ministry of Health, and only after that, doctors implement them at the center. Such an approach guarantees absolute safety and high effectiveness of the treatment. Sourasky is often chosen as the best hospital to treat breast cancer, melanoma, brain tumors, sarcoma, stomach cancer, and pancreas cancer. 74% patients with sarcoma recover completely. In 90% of cases, the affected limb with a tumor is preserved (the best index in Europe). in 83% of cases, the brain tumor is completely removed. Navarra was the 1st to use cell vaccines against glioblastoma. 90% is a survival rate for breast cancer at the initial stages. 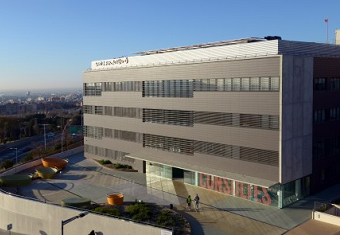 Clinica Universidad de Navarra was considered the best private hospital in Spain in 2018 according to MERCO version, Corporate Reputation Monitor for Healthcare. Navarra is also recognized as the cancer of excellence by the European Society for Medical Oncology. Over 700,000 patients from 70 countries have entrusted their health to Navarra specialists. 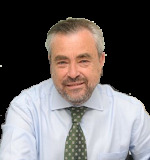 The price policy at Navarra remains quite affordable, the treatment here is about 10-15% lower than in Germany, Italy or even other Spanish hospitals. Navarra is the best place for treatment of osteosarcoma, Ewing's sarcoma, chondrosarcoma, breast cancer, leukemia, etc. 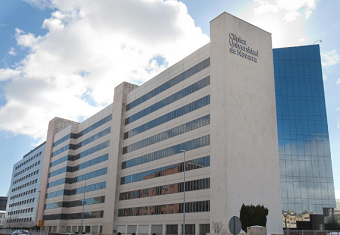 Neuroblastoma — Sant Joan de Deu is among a few hospitals in Europe which apply immunotherapy with GD2 antibodies. As a result, the success rate of neuroblastoma treatment is increased by 20%. In 68% of cases, no relapse occurs for 3 years after neuroblastoma treatment. Retinoblastoma (eye cancer) — Sant Joan de Deu is the 1st cancer center in Europe, where intraocular chemotherapy is applied. In 90% of cases, the eye is preserved even at advanced retinoblastoma stages. Ewing's sarcoma — 84% of patients with localized tumor recover completely. These results are among the best in the world. Lymphoblastic leukemia — a 5-year survival rate is 84%. The success rate for bone marrow transplant ranges between 90-100%. Sant Joan de Deu has 33 certificates in general that confirm the excellence of treatment and medical care for children. There are all conditions for comfortable hospital stay: children feel like at home here because of the friendly atmosphere and special design of the facility. Psychologists, teachers, and animators work with kids. All these facts make Sant Joan de Deu is one among top cancer hospitals in the world for children. Patients choose Sant Joan de Deu to treat Ewing's sarcoma, neuroblastoma, retinoblastoma, leukemia, lymphoma. Ospedale San Raffaele is also one of the best cancer hospitals in the world. 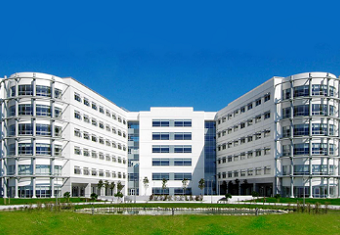 It is a large multidisciplinary medical institution located in Italy. San Raffaele Cancer Department accepts 9,000 patients from different countries annually. 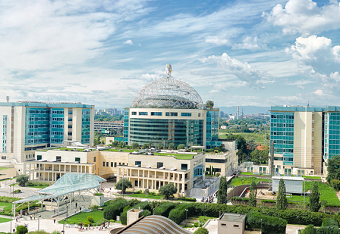 San Raffaele Ospedale is among top cancer research centers in Europe that IRCCS certificate confirms. The most significant achievements are in the molecular and gene medicine. San Raffaele is a world leader in these fields. Surgeons perform over 6,000 surgical removals of cancer and 140 bone marrow transplants per year. About 2,000 patients undergo radiotherapy at San Raffaele annually. The hospital provides the effective treatment for patients with stomach cancer, breast cancer, prostate cancer, leukemia. 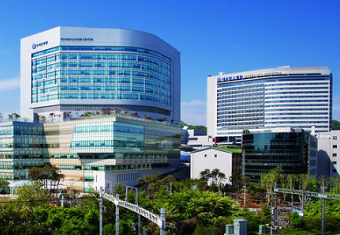 Severance Hospital in Seoul is also included to top cancer treatment centers ranking by Bookimed. 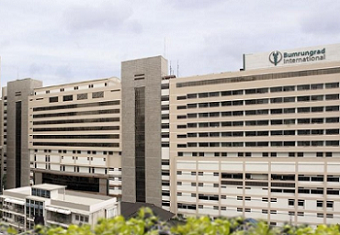 Severance Oncology Center is among the best cancer hospitals in Asia. It cooperates with MD Anderson Medical Center and Johns Hopkins Hospital, top US facilities with international recognition. This means that Severance specialists interchange the experience with American colleges, and together implement the newest therapies. 96% is a success rate of prostate cancer applying Da Vinci robotic system for surgery. 90% is a 20-year survival rate after thyroid cancer treatment at Severance. Over 1,000 malignant thyroid tumor removals are performed each year. 75% is a 5-year survival rate for lung cancer at the initial stages. 77.7% is a 5-year survival rate in case of stomach cancer. Severance offers a fast-track program of diagnostics and treatment for international patients. So they avoid waiting lists and start treatment immediately. The cost of cancer treatment at Severance is 10-15% lower than in Germany or Israel, but 20% higher than in Turkey. Patients choose Severance to undergo check-up, treat breast cancer, ovarian cancer, prostate cancer, stomach cancer, lung cancer. Fuda Hospital is among best alternative cancer treatment centers in the world. It is a specialized oncology hospital that focuses on stages 3-4 cancer treatment and shows the great results. For instance, Fuda doctors have achieved the longest life expectancy for a patient with advanced pancreatic cancer — a 15-year survival rate. One among key treatment options at Fuda is cryotherapy (a non-surgical destruction of a tumor with a low temperatures). The doctors have already performed over 10,000 such procedures. personalized treatment (specific treatment options for a particular cancer type). Fuda specialists also use traditional Chinese medicine as an additional treatment options. The high level of medical services is confirmed by JCI (Joint Commission International), a global quality standard of international healthcare. An application of unusual approach and achievement of incredible results for cancer treatment in the late stages are the reasons why we have included Fuda to Top 10 cancer hospitals in the world ranking. The hospital provides free transfer and language assistance in English, Arabic, and Russian. Doctors' experience. When choosing the best cancer center in the world, always pay attention to a doctor's qualification who will manage your treatment. Only internationally recognized oncologists work at the cancer treatment centers listed below. Innovative treatment options for oncology. Best cancer hospitals in the world apply the latest technologies to treat cancer. A patient receives access to immunotherapy, chemo- and targeted drugs accurately chosen depending on the tumor type. The best cancer research centers also provide clinical trials to develop new therapies and achieve better results. New treatments are invented in the ranked hospitals permanently. Some patients can even participate in the trials optionally. International accreditation of cancer hospitals. The high level of medicine and treatment quality must be confirmed by authoritative healthcare organizations. The cancer centers in the Bookimed ranking comply with the strict international quality standards that are confirmed by the prestigious certificates. Patients' reviews. The experience of other people who received cancer treatment is an important and adequate prove, that a particular hospital provides high-quality treatment. You can read over 1,000 verified reviews from patients on Bookimed website. People share their experience about treatment in different medical centers, doctors, therapy results, and services. How can I be sure that the chosen hospital will provide the best cancer treatment in my case? The cancer centers in Bookimed ranking provide the comprehensive care for the most types of cancer. But, of course, some cancer center may be strongest in treating of a particular disease. You can ask Bookimed manager which hospital is the best for cancer treatment in your case. Over 4,000 patients request to Bookimed every month, and our managers know all features and strongest sides of every cancer hospital. Who arranges my medical trip to the chosen cancer center? After request on our website, Bookimed managers will contact you. They will arrange you treatment, process the documents, can book tickets, and accommodation. The manager will support you 24/7 at all steps and always stays in touch to solve any unforeseen problems. Which language do the hospital's staff speak? How can I avoid the language barrier? The staff in the listed top ten cancer hospitals in the world speak English well in most of the cases. They also provide an interpreter speaking your language. How can I be sure that the cancer treatment will be effective? The effectiveness of treatment depends on the diagnosis, disease stage, and general health condition of a patient. Only a doctor from the top cancer hospital can prognose the success of treatment after the consultation or revision of your medical records. What country has the best cancer treatment? Among the best places for cancer treatment in the world are the USA, European countries (Germany, Italy, Spain, Austria, Switzerland), Israel, South Korea, Thailand, etc. Hospitals of these countries offer advance cancer treatment, invent new therapies, provide scientific research. Before choosing a state for cancer treatment, learn more about local medical, what cancer types they treat most effectively, and how long it takes to get there from your place of origin. If you feel any difficulty in selecting the best country and hospital for cancer treatment, submit a request on Bookimed. Can I get a consultation with a doctor without going to the other country? Yes, Bookimed provides the "second medical opinion service". We can arrange a consultation with specialists working in the best cancer centers online. You will receive the qualified opinion regarding the treatment, and decide whether you need to go tho the chosen clinic. Why does the treatment cost vary in the best cancer hospitals? The treatment cost varies from country to country. Each region has the own price policy, level of local citizens income that affect the price. Due to this, the US cancer centers offer one of the highest prices, the European ones — 2-3 times lower, and the most cheapest treatment you can find in Turkish or Indian top oncology hospitals. Does the low price affect the treatment quality in the top ranked hospitals? The price is not a key criterion to take into account. The cancer hospital must have international certificates that confirm high quality if medical services. Also pay attention to oncologists expertise: top specialists practice in the leading cancer centers in the world and use the latest technologies. How will I pay for the cancer treatment? Bookimed cooperates directly with the best cancer hospitals in the world. You will transfer your money to an official account of the hospital. To choose No. 1 cancer hospital seems a difficult task. There are a lot of information on the Internet, and it also takes time to study it completely and make a right yous. Cancer patients often cannot wait and need qualified help immediately. With Bookimed you will find the best hospital within several days. We are working with thousands international patients, and know how to arrange the best cancer treatment in the world. If you have any questions, just ask Bookimed manager. ➤ Bookimed managers are ready to help you and find the right medical center and doctor, specialized in cancer treatment. Our team takes into account your case, needs, and requirements. You will get an individual program with costs to plan your budget for a trip in advance. ➤Bookimed is a platform of searching for the best medical solutions in over 25 countries. Every year our doctors-coordinators help 4,000 patients. Our mission is to provide advanced medical solutions and support a patient at every step: starting from the clinic selection and trip arrangement till a home return. We stay in touch 24/7 to make your trip easy and comfortable. ➤You don’t pay for Bookimed services. A trip arrangement is free of charge. Submit a request to get a consultation with Bookimed manager.